Wilson Smith WooCommerce theme goes with the neutral blue-and-white colors to draw users' attention to your store. It perfectly fits gadgets-related eshops, has an intuitive navigation and a sorting feature to help your guests filter products and find exactly what they need. Any sweets, cakes, and pastry will look yummy with the help of this Sweets Store WordPress theme. The customizable carousel slider allows drawing more attention to your project once your guest opens a landing page. Quick view and star rating options are integrated into the product review to improve your sales rate. Check out this T-Shirts Shop WooCommerce Template perfect for fashion and beauty stores. It is designed in restrained colors that make this theme look really stylish and trendy. With the help of the full-width slider, you will be able to show your top-rated items to the visitors. Look at this Toys Online Store WooCommerce theme with high-end functionality and soft-lined design. It has pleasant-to-the-eye colors and the main menu is done in different colors. A hero slider with two big banners below allows filtering all items into the stuff for girls and boys. Have a car parts related service and need a suitable theme? This WordPress eCommerce template will be the perfect match for you. It has all the advanced options including Lazy load effect, Parallax scrolling option, call-to actions, etc. 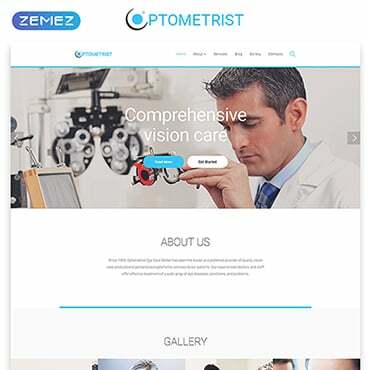 The home page has a full-width slider and images to impress your guests at first view. 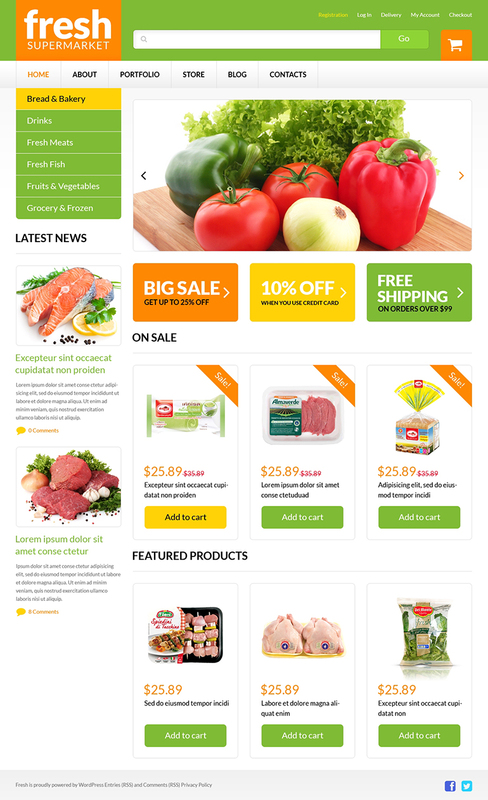 If you are looking for the best-suited theme for selling high-quality food and drinks online, Grocery Web Shop WordPress eCommerce template will meet all your requirements. The green-and-orange design perfectly fits the idea of healthy and natural food products. Live search and user-friendly navigation will lead your customers right to the item they need to buy. Your beauty shop is ready to go online and needs a beautiful frame? Fully responsive Samsara WordPress template is the best choice. 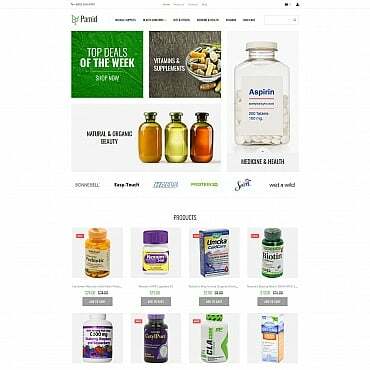 Girlish design with a lot of white space will let your estore look fresh and attractive. Audio and video integration will be a helpful option to present your cosmetics in all its glory. If your business is related to fishing, yachting or sailing, this WordPress eCommerce template will help you boost it on the web. It is based on Bootstrap, has 100% responsive design and is cross-browser compatible. Everything in this theme is simple and intuitive allowing to find the necessary products in a few seconds. Looking for something delicate for your online project? Take this flowers WooCommerce theme with tender design and equipped with a full set of all the necessary features. It is fully integrated with social networks and lets your guests reach your social profiles easily. Look at this ready-made and fully responsive WordPress eCommerce template developed for hotel, travel and tour websites. The Parallax scrolling effect will charm your visitors from the very beginning. Due to the skillfull use of white space, the color scheme is balanced enough and pretty to look at. With this professional WooCommerce template, any eCommerce project will get lots of new customers. Thanks to the interactive slider your website will look outstanding and up-to-date. The design is very neat and thoughtful, but multi-colored banners and fonts make it look more vivid. This fully responsive WooCommerce theme is a perfect match for a website selling fashion apparel and accessories. Thanks to WordPress Live Customizer even a non-tech person will make all the modifications without extra help. In case your store is full of different clothes, the product sorting filter will make the browsing process easier and more pleasant. This WordPress theme is designed for online stores selling parts for cars and motorcycles. Fixed-to-the-top menu enables users to browse the site seamlessly. Products have star rating and "sale" badges to help your clients while choosing the right part. Searching for a beautiful place to sell cosmetics on the web? You are looking right at the theme that will help you do it efficiently. Modern design done in bright colors will show off your beauty products in the best way. Products carousel widget lets to put all the important info in one block and saves more space on the front page. Any online store selling cooking utensils will benefit from this multi-colored WordPress eCommerce theme. Product categories on the front page are done in bright colors to catch the attention of more clients. By means of the functional footer, your guests will access the rest of the pages and social profiles quickly. This premium WordPress eCommerce template for tool and hardware stores has everything to make your life easier. The charming Parallax scrolling effect adds this special flavor to your website. The front page has blocks with detailed product reviews for more comfortable decision-making. This multi-purpose Extremex WordPress theme is a perfect match to any service related to sports and active lifestyle. Colourful banners on the polygon background make your website look modern. Contact details and social sharing buttons are placed on the front page for better interaction. 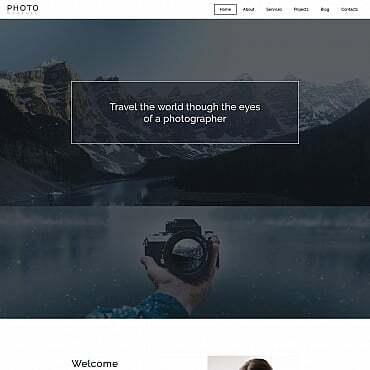 Hope this review has inspired you and you have found thie one template for your eCommerce website. All the WooCommerce themes you've looked through can be used for any kind of business and won't take you lots of time to customize. Fully responsive design allows your online project to look great on any screen, whether it is a mobile device or a laptop.